Rosemary Navarro was living in Mexico when her brother called from California. Something wasn't right with their mom, then in her early 40s. She was having trouble paying bills and keeping jobs as a food preparer in convalescent homes. Navarro, then 22, sold her furniture to pay for a trip back to the U.S. for herself and her two young children. Almost as soon as she arrived, she knew her mother wasn't the same person. "She was there but sometimes she wasn't there," she said. "I thought, 'Oh man, this isn't going to be good.' "
Before long, Navarro was feeding her mom, then changing her diapers. She put a special lock on the door to keep her from straying outside. Unable to continue caring for her, Navarro eventually moved her mom to a nursing home, where she spent eight years. Near the end, her mom, a quiet woman who had immigrated to the U.S. as a teenager and loved telenovelas, could communicate only by laughing or crying. Navarro was there when she took her last breath in 2009, at age 53. "What I went through with my mom I wouldn't wish on anyone," she said. It has happened again and again in her family — relatives struck by the same terrible disease, most without any clue what it was. An aunt, an uncle, a cousin, a grandfather, a great grandfather. "Too many have died," Navarro said. All in their early 50s. Now the family knows the reason for their curse: It's a rare type of early-onset Alzheimer's disease, caused by what's come to be known as the "Jalisco" genetic mutation. Doctors today can tell someone they have it but they can't stop its destructive march. For Navarro, watching her relatives succumb is like looking into a crystal ball, one she wants to hurl across the room. She, too, has the mutation. It's getting harder to stifle her fear. This year, she turned 40 — the same age her mother was when she started wandering off and forgetting simple things. "I don't look forward to birthdays," she said. "I didn't want to celebrate 40, much less 41." Of the more than 5 million people across the U.S. who have Alzheimer's, 5 percent are believed to have the early-onset form, striking people under the age of 65. Fewer still — about one percent — have genetic mutations that are known to cause the disease. Navarro's gene is known as the Jalisco mutation because it is believed to have surfaced first in that Mexican state. Over time, it likely was carried by immigrants across the Mexican border into California and other states. In Mexico and the U.S., roughly 50 families are known to have it. Cases like Navarro's are of great interest to Alzheimer's researchers. Studying this unique population with genetic mutations, they say, could help unlock some of the biggest mysteries of the more common form of the disease: How does it develop? How can it be diagnosed earlier? What can be done to stop it? Ordinarily, it's difficult — if not impossible — to predict Alzheimer's. But with these families, researchers know the mutation carriers will get the disease. They also know approximately when symptoms will appear. So they can get a real-time look at how the disease develops — and can measure when the brain starts changing relative to expected onset. Perhaps most important, they can design drugs to target the disease before patients lose their memory. "If you know from age 18 or even from birth whether someone is going to develop the disease or not, you have got a big window to intervene," Navarro's doctor, John Ringman, a neurology professor at the Keck School of Medicine of the University of Southern California. "We don't have a way to repair or bring back lost brain cells." Patients with a familial Alzheimer's mutation "are sort of a model for how the disease progresses, because they are easier to recognize and easier to study," said Bruce Miller, a longtime Alzheimer's researcher who directs the memory and aging center at the University of California, San Francisco. Around the world, hundreds of people whose families are afflicted with a variety of early-onset mutations are subjecting themselves to medical tests — spinal taps, memory quizzes, MRIs and other brain imaging, hoping scientists can develop therapies to prevent and treat Alzheimer's. More than 450 people are part of an international network of research being led by Washington University School of Medicine in St. Louis. Each has a parent with an early-onset gene mutation. If the research doesn't help them, they tell researchers, maybe it will help the next generation. "They are all desperately fearful that they themselves have inherited a mutation," said John C. Morris, director of the school's Alzheimer's Disease Research Center. "But what they are really fearful about is that if they did, that they will pass it along to their children." Navarro, whose children are now young adults, is well aware of the statistics. She has joined the network's research effort, of which Ringman is a part. In 2014, she went for a brain scan. She had no overt symptoms, but the results told a different story. 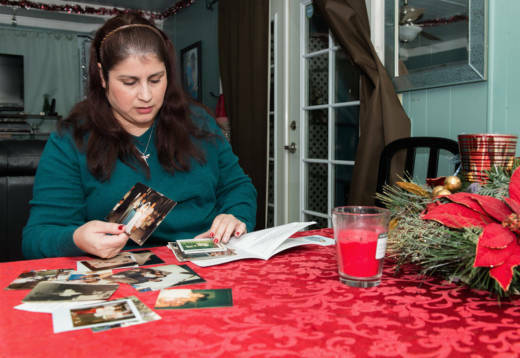 Her brain had already started to shrink — a sign that the disease was taking hold. In November 2015, Ringman drove to Colton, Calif. — 60 miles east of Los Angeles — to meet with the large and close-knit Kitchen family. Jay Kitchen and his younger brother John were referred to him after each suffered a series of baffling symptoms. It struck me as really odd," said John's wife, Michelle Lopez. "Nobody could forget the store that was around the corner from the house you lived in for 12 years." Jay was the first to seek help. He went to an emergency room, then several specialists. One suspected a stroke. Another suggested mental illness. Test after test came back negative or inconclusive. "It has been a long haul trying to get a diagnosis," said the brothers' aunt, Linda Ramos, who took Jay to most of the appointments. Doctors constantly were "scratching their heads trying to figure out what was wrong." In late 2015, a neurologist referred the brothers to Ringman, who ordered a blood test. 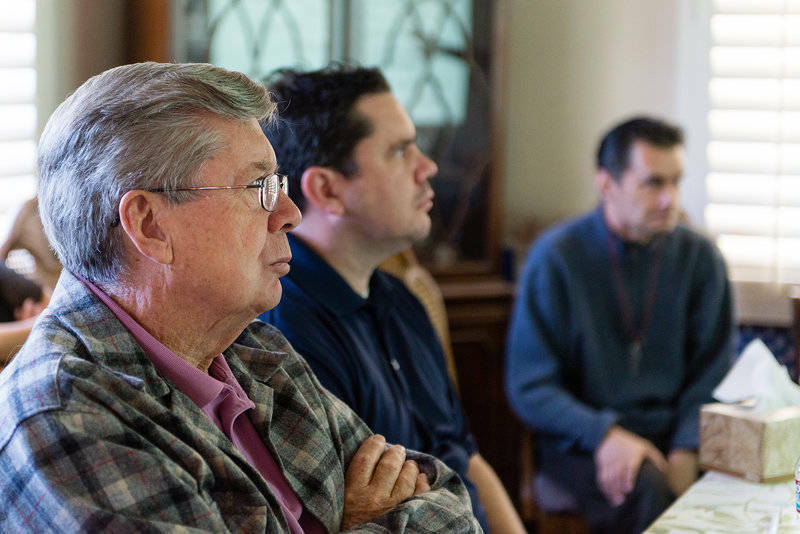 On the November morning in Colton, Ringman arrived at Ramos' home where the extended family was gathered. He pulled the brothers and a few others aside to deliver his grim news: Both men had the Jalisco mutation. Ramos said the brothers sat in near silence. She doesn't think Jay understood, and John, already a quiet man, just seemed scared. Later that morning, a larger group of family members met with Ringman around a long dining room table: the Kitchens' father, aunts and uncles; Lopez and Jay's ex-wife. Jay's son came with his newborn, who fussed in a stroller. Projecting pictures and diagrams on the wall, the doctor explained the basics of early-onset Alzheimer's disease and the different mutations that can cause it. Medications available today only address the symptoms, not the disease itself, Ringman said. Drugs may improve people's thinking but don't stop the progression. "This is something we are going to crack eventually," he said. Like many families Ringman encounters, the relatives in the dining room absorbed the news with little emotion or surprise, as though the doctor were confirming nameless fears. Ramos had watched the Kitchens' mother, Olivia, lose the ability to walk and speak and eventually die in 2002. At the time, they were told she had multiple sclerosis. Now she wasn't so sure. John Kitchen asked if there was any connection to Huntington's disease, which the family had been told his grandfather had. "Probably he didn't have Huntington's," Ringman responded, adding that doctors often get the diagnosis wrong. "My thought was, 'At least we know now. Finally, we know.' Thank God we have a name [for it] and maybe we can do something for their kids." Ringman, now 51, became interested in neuroscience while in college at the University of California, Berkeley. But he knew lab work wasn't for him. "I realized all these Ph.D.s study one molecule their entire lives and sit in a laboratory," he said. "I didn't want that." In the late 1990s, after completing medical school and specialty training, he joined the medical staff at the University of California, Irvine, where he saw patients with dementia and Huntington's disease. He liked the personal interaction, combined with the scientific challenge. In 1999, a 42-year-old woman came to see him, brought in by her young adult daughter. Rosa Maria Navarro had signs of early Alzheimer's disease. Her daughter Rosemary was distraught, reporting that something similar had afflicted many other relatives. It was the beginning of a long relationship, and a new line of scientific inquiry for Ringman. The young neurologist was aware of recently identified familial Alzheimer's mutations, and he immediately suspected Rosa Maria had one. He sent her blood sample to get the genetic test, and it came back positive for the A431E mutation of a gene known as presenilin 1. 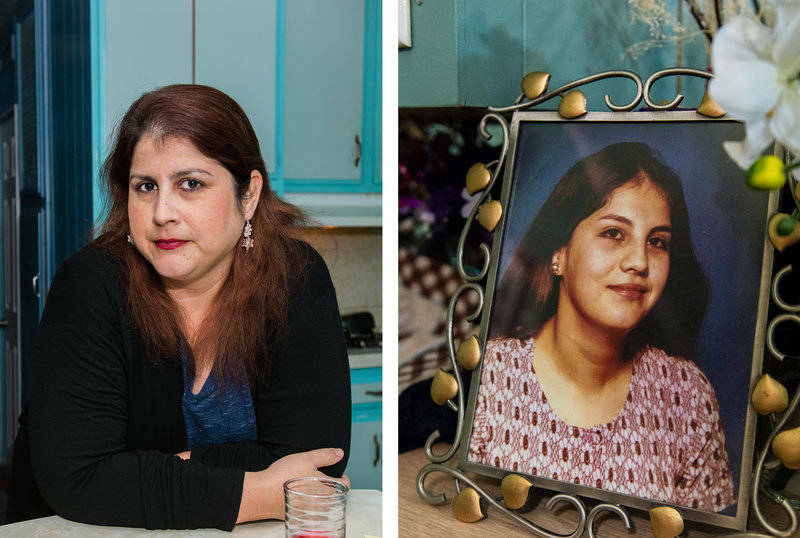 Rosemary Navarro suspects her mother sensed even before then what was wrong, having seen her own father lose his memory and die young. "But she was quiet," Navarro said. "She never said, 'I might have this.' "
Soon afterward, another patient came into Ringman's office with similar symptoms. That patient tested positive for the same mutation. Both had families originating from Jalisco, Mexico. "I was already getting suspicious," he said. Familial Alzheimer's intrigued Ringman. It was a relatively new field. Families with the disease had been known to exist since Alzheimer's first described the disease in 1906, but the genes weren't identified until about 90 years later. The research touched on so many parts of science — neurology, biology and psychology. Later, Ringman came across an article co-authored by a Mexican neuropsychologist he had worked with before, Yaneth Rodriguez. It was about four families in Mexico that had early Alzheimer's disease, and they had symptoms similar to his two patients. Ringman collected DNA samples of members of seven more families who were being treated in Mexico. Test results not only confirmed members of each family had A431E, they indicated the patients all shared the same chunk of DNA. That's when he knew. They were all related, distant cousins who had never met. 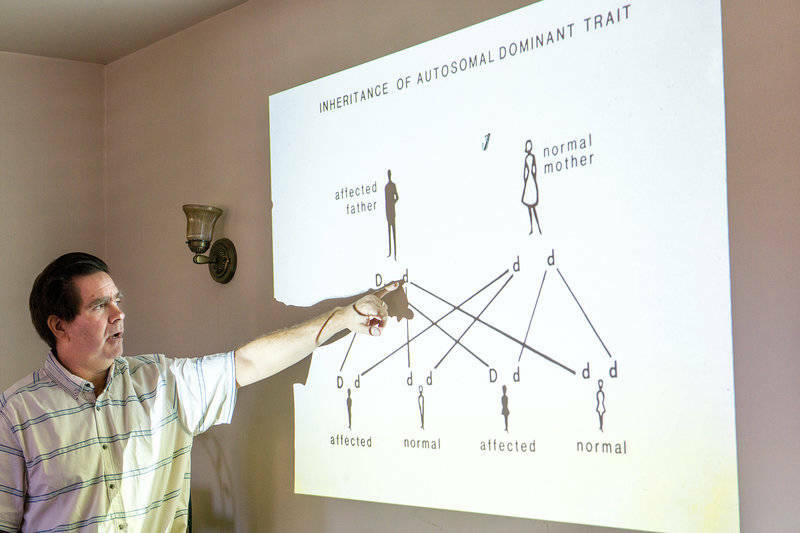 In 2006, the Mexican geneticist, Alonso, published a report in Neurogenetics, describing nine families who didn't know they were related but all shared the A431E mutation. She concluded that the disease likely started with one ancestor in Jalisco. Ringman published a response describing 15 additional families with the same mutation. The findings meant that Ringman's patients owed their suffering to an unidentified individual who likely lived in Jalisco perhaps hundreds of years ago. Somehow, as his or her DNA copied itself during cell division, a fatal mistake occurred. And now, in places like La Habra and Colton, Calif., whole families were coping with the awful results. Ringman saw the tragedy but also the scientific opportunity in these discoveries. He later joined the Washington University School of Medicine network in its international quest for knowledge and treatment for familial Alzheimer's disease. The research now includes different sites in Europe, Asia and Australia. Among the network's early findings: Amyloid plaques characteristic of Alzheimer's appear decades before the first noticeable signs of memory loss. The research essentially has presented a timeline of brain changes leading up to memory loss and cognitive decline and has helped lead scientists to decide when and where to aim drugs. A promising target is beta-amyloid. Many researchers believe that flaws in how the sticky substance is accumulated and disposed of in the brain can lead to the disease. Scientists now are studying drugs aimed at attacking beta-amyloid and removing it from the brain. Another encouraging finding, the researchers say, is that early-onset and late-onset Alzheimer's seem to share many characteristics, and findings that help with one disease are likely to help with the other. The Kitchen brothers aren't participating in the research. Their mental abilities are declining precipitously. "We get a glimmer of hope," their aunt Ramos said, "but then we think we are foolish for even hoping." Jay is living in a locked facility, having tried to run away from another place. He can no longer speak in full sentences and only occasionally recognizes family members. John, now 43, can still hold a conversation but struggles to find the right words. Simple tasks elude him — like writing is name. He feels he is losing control of his life and worries about his family. "I want to be around for my son," he said. 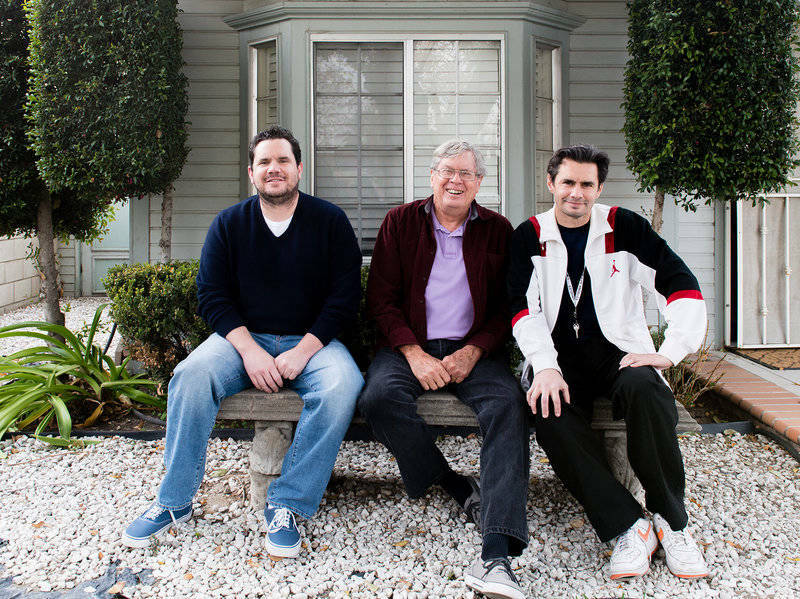 His son, 14-year-old Reese, says he sees his father "slowly fading away." One day, he asked his mother: "Is that going to happen to me?" "That was the worst day of my life," Lopez said. Navarro's 19-year-old daughter, Lizeth, and her 22-year-old son, Ricardo, live with her in a three-bedroom trailer in La Habra. Both say said their mom has started forgetting little things — the movie they saw last week or what they need from the grocery store. "I usually have to say things more than once," said Lizeth Navarro. Lizeth, a chemical engineering major, decided to attend college nearby partly just to keep an eye on her mother. She hasn't decided whether to get tested for the mutation herself. But her brother said he won't. "I would rather live my life not knowing," said Ricardo Navarro, who is studying broadcast journalism at California State University, Fullerton. Their mother meanwhile, works as a temp in customer service and doesn't make a point of telling the agency or the employers. At a recent job, she had trouble focusing and remembering some of the things her trainers taught her. She didn't get hired on permanently. She tries to focus on her family rather than the disease. "I can't let it overcome me," she said. She puts a lot of faith in a drug trial out of Washington University. Each month, a nurse visits her in La Habra and injects a medication, which she's pretty sure is not a placebo. "I have to have faith in the drug," she said. "That's my only solution for now." She doesn't finish her thought.